Having a birthday party to plan and pull off on/or around December 18 can get kind of crazy around here during that last week before Christmas Day! 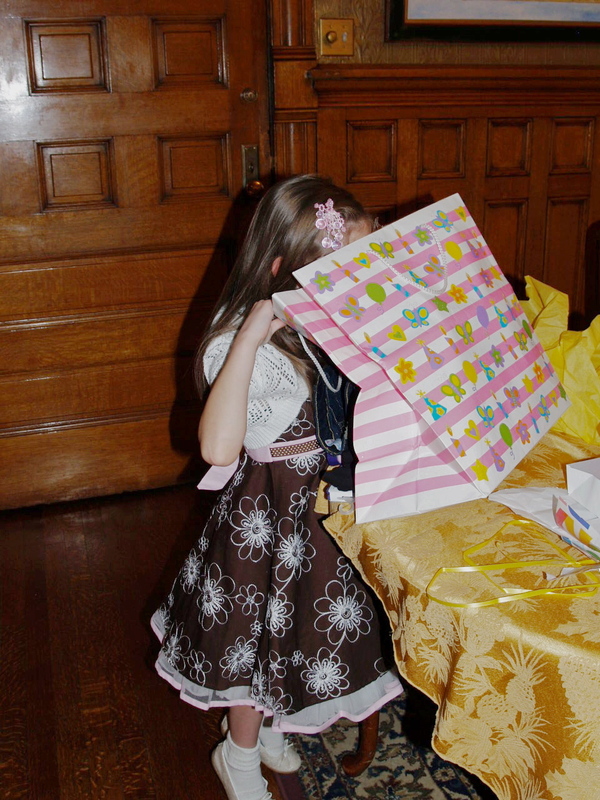 We just celebrated my daughter, Chase’s 7th birthday as a family on Sunday. After we had our dinner and cake we sat at the table trying to remember each of the kids’ birthday parties and themes in order (no easy feat!) One of Chases favorites was her party from last year. 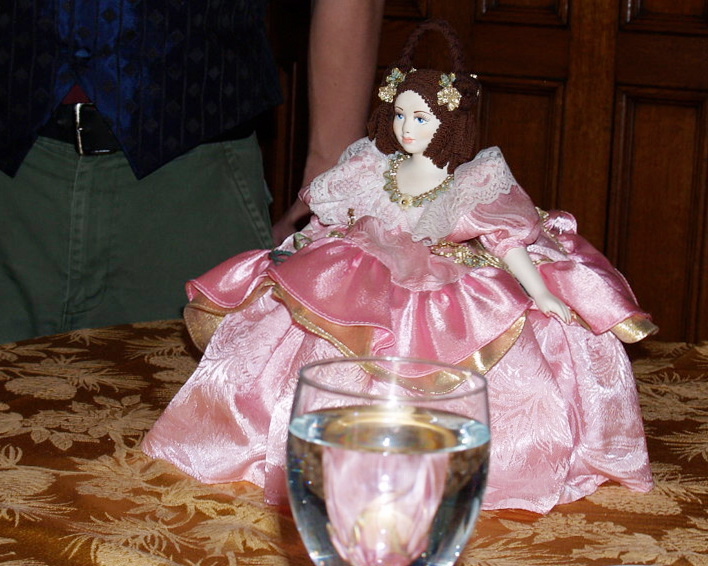 She and I decided it would be fun to invite her friends to a tea party. 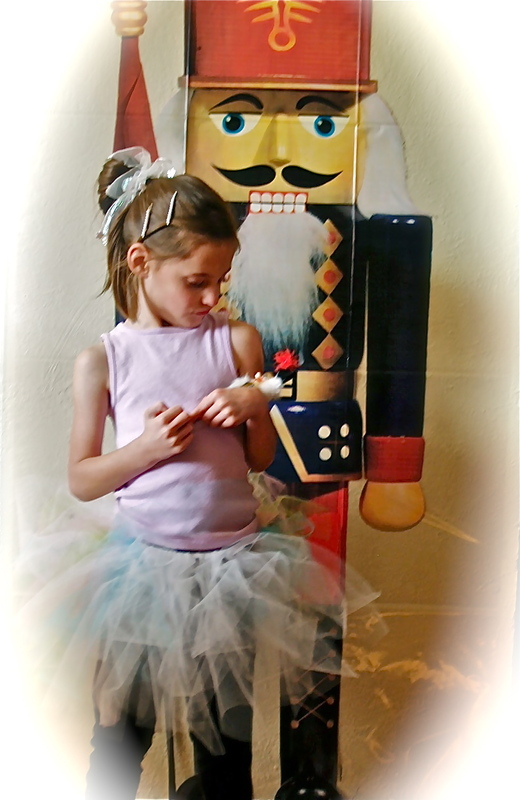 As the time drew nearer, the thought occurred to me that I could go just one more step further (because that’s how I roll — can’t just have Crazy, gotta have Overboard Crazy) and throw a Nutcracker Suite Tea Party, keeping in the spirit of the holiday and the fact that she’s enrolled in a local Ballet Academy (thanks to Grandma Seyfer) at the Arvada Center. 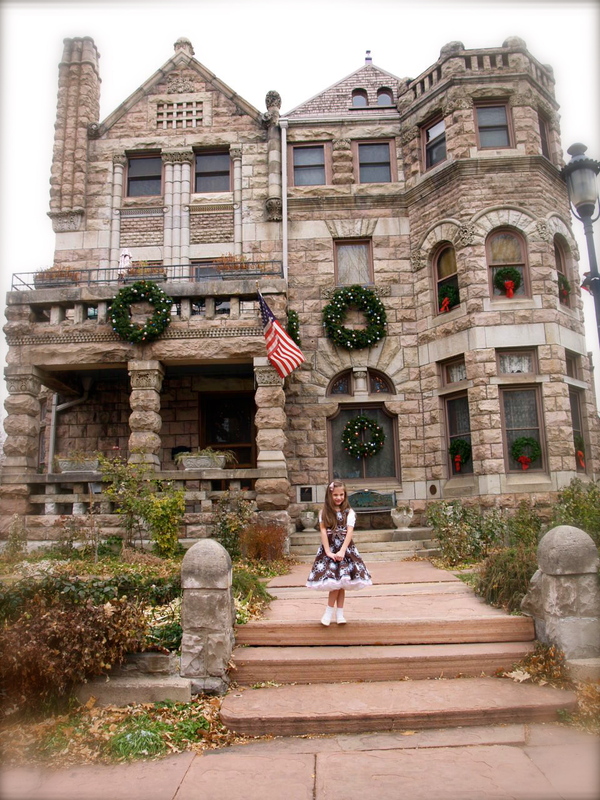 But first, I thought she should experience an afternoon tea first hand so we (Grandma Seyfer, Daddy and I) took her to a really nice local Bed and Breakfast here in Denver, Castle Marne which has quite a history dating back to 1889 when it was first built. 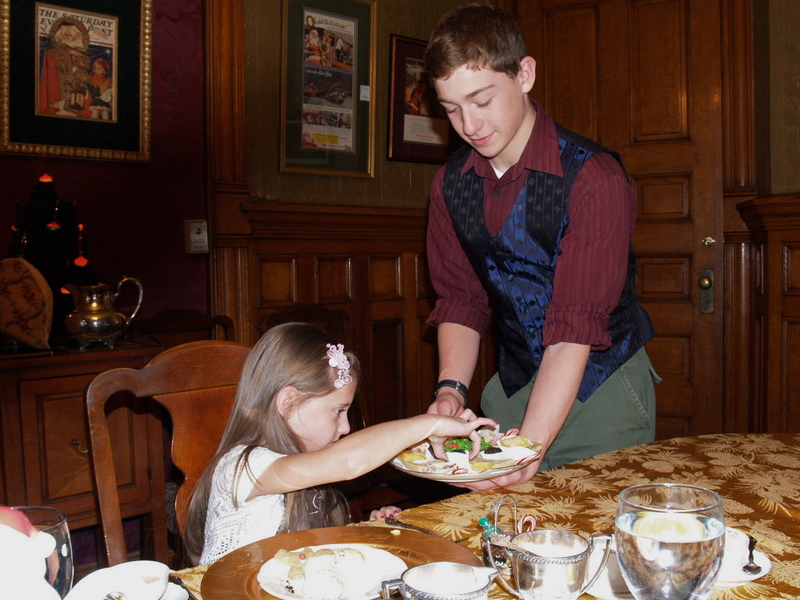 It is family owned and you can definitely tell by the service and atmosphere, very personable. 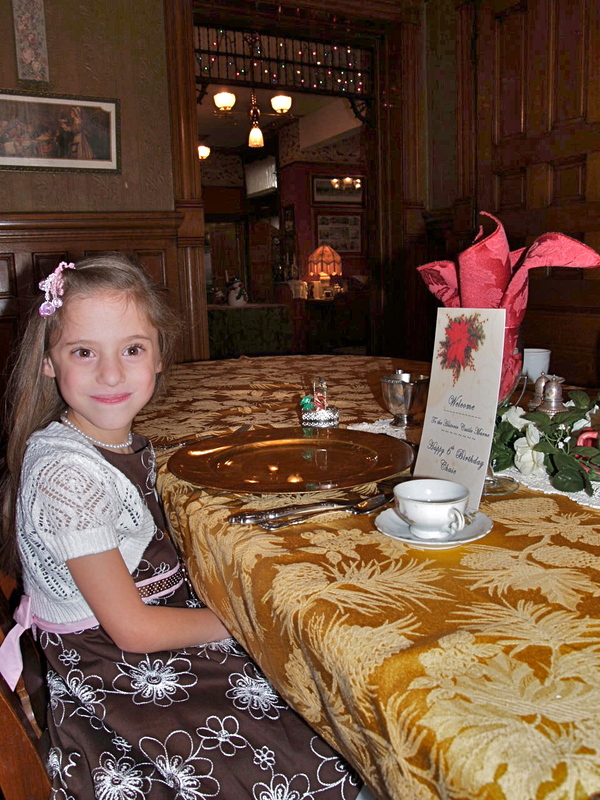 They made sure that our daughter had a wonderful tea, I am confident that she came away from the experience thoroughly pleased, and feeling it was all about her! 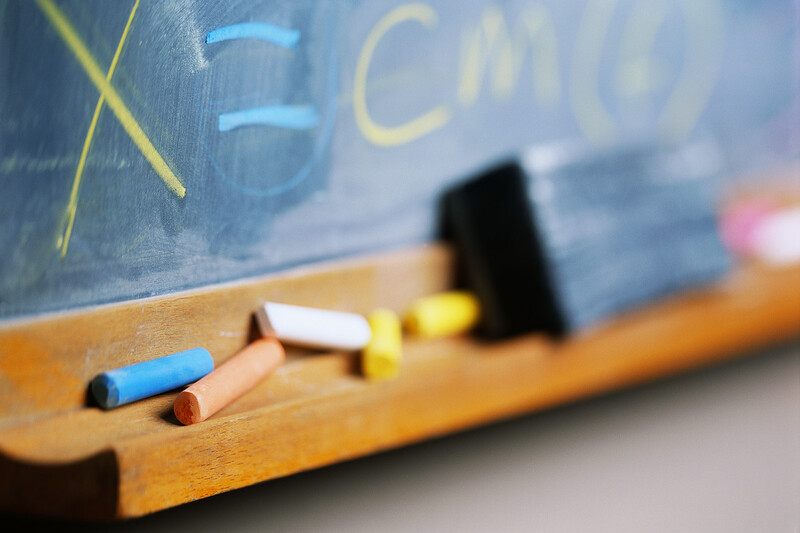 We all know that feeling you get when you witness your children enjoying something you have made possible for them, (it doesn’t always happen that way though – there have been many times when I thought I had “the” gift or surprise and, well it just didn’t go over as well as I had planned.) But this was truly a rewarding experience for us all! 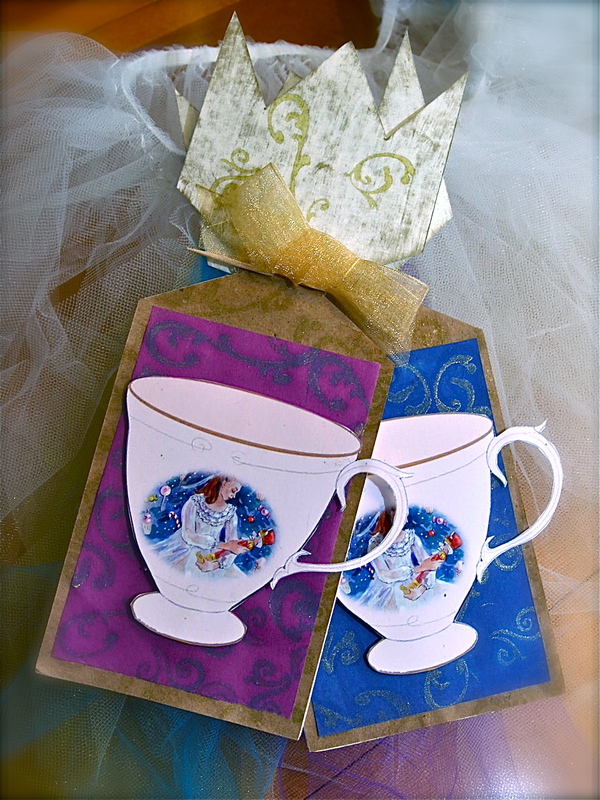 Sipping some tea, which by the way was Celestial Seasoning's Sugar Plum Spice. 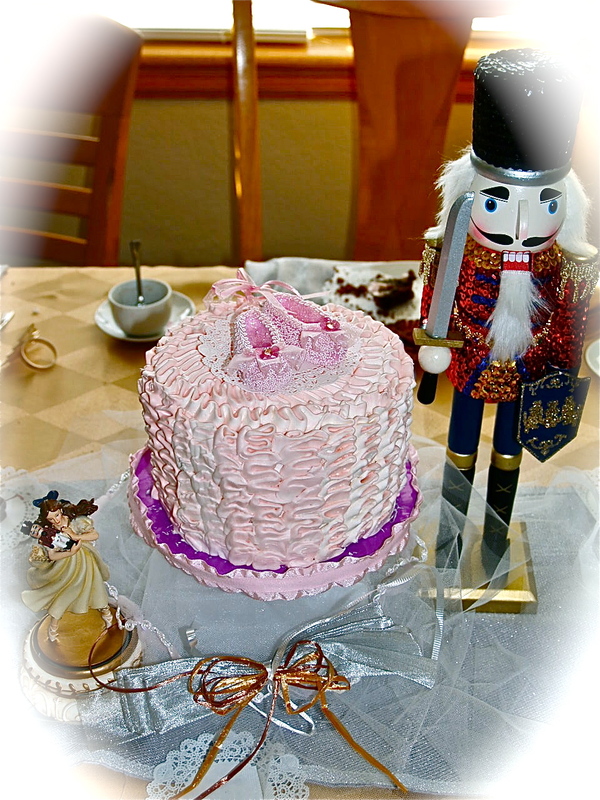 Chase was pleased since we were planning a Nutcracker tea party and she was well acquainted with the Sugar Plum Fairy! A special warmer her server thought she would enjoy. Very special treatment. 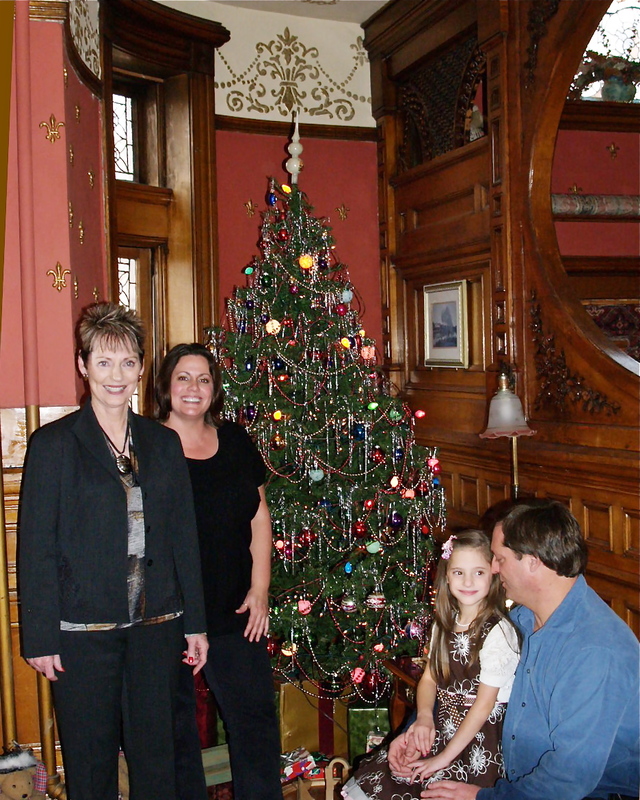 We then got a personal tour of the other rooms and some history along with them. 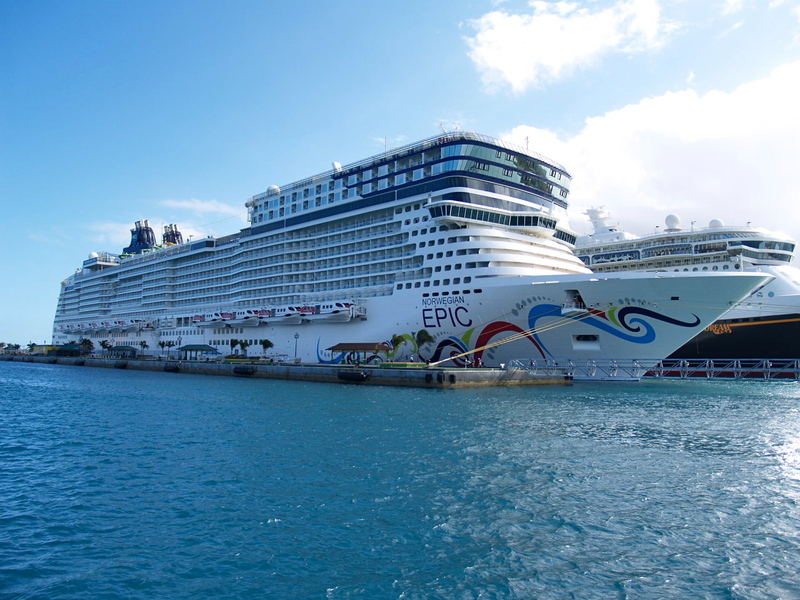 I’m making these pictures larger because they deserve it, such a beautiful place. 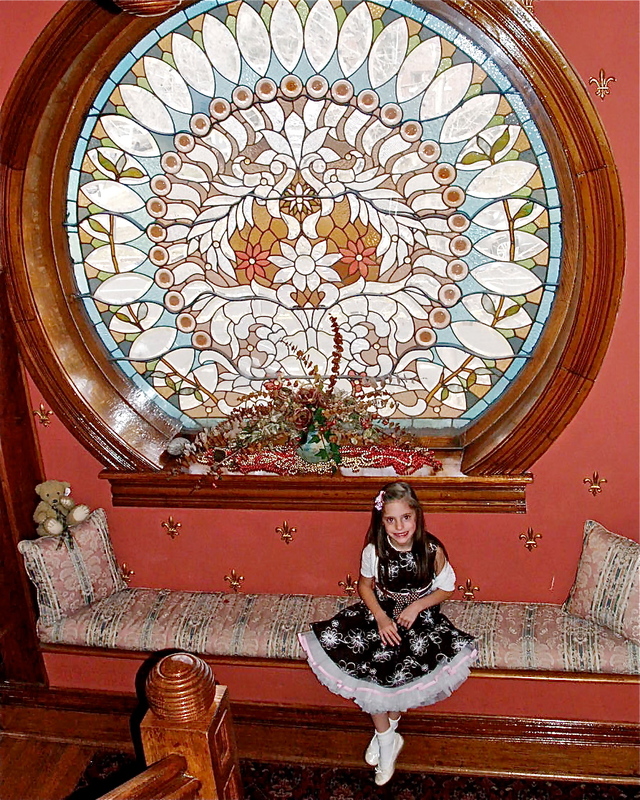 As you ascend the stairs you find what they call the "peacock" window, it fans out like a peacocks tail. 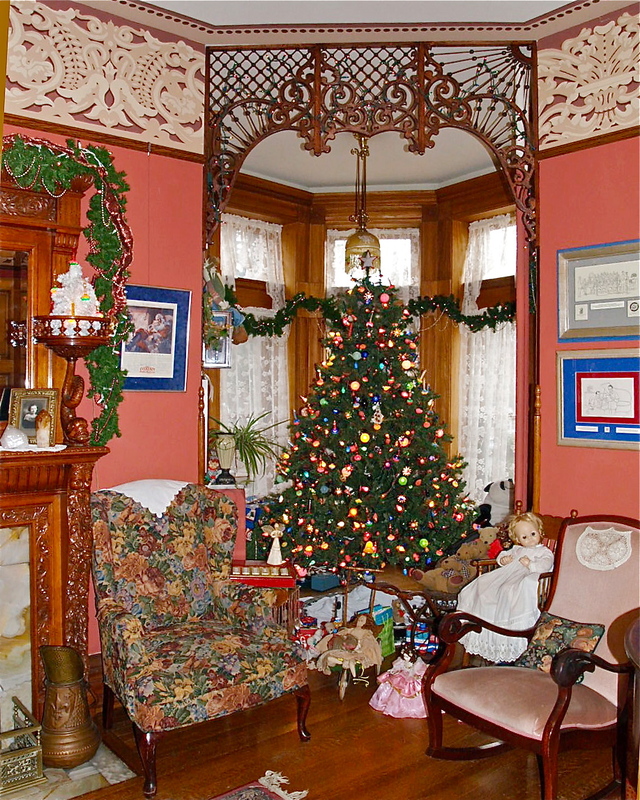 Another Christmas tree in the foyer. This is what you see when you first come in. Very inviting. 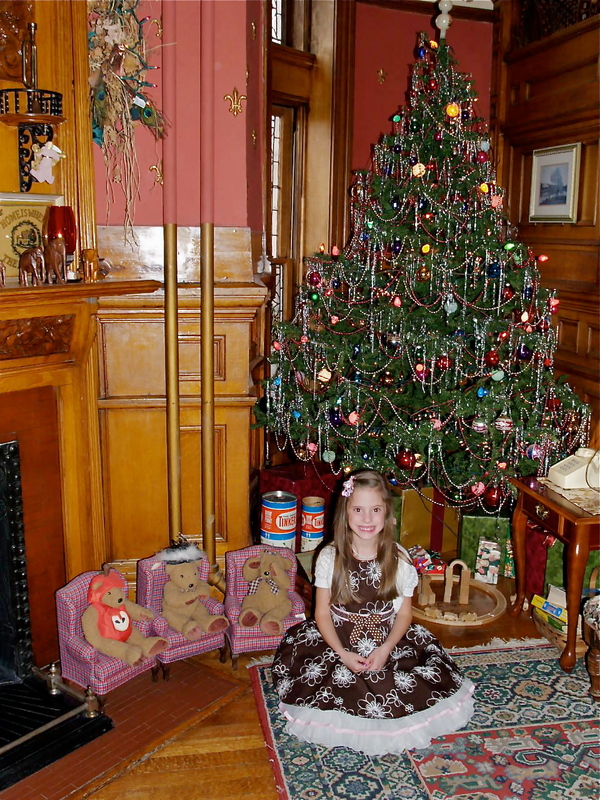 A very pleasant time had by all, and a very happy little girl! I found a picture I liked and a teacup graphic on the internet. I did some photoshopping and came up with what I wanted. 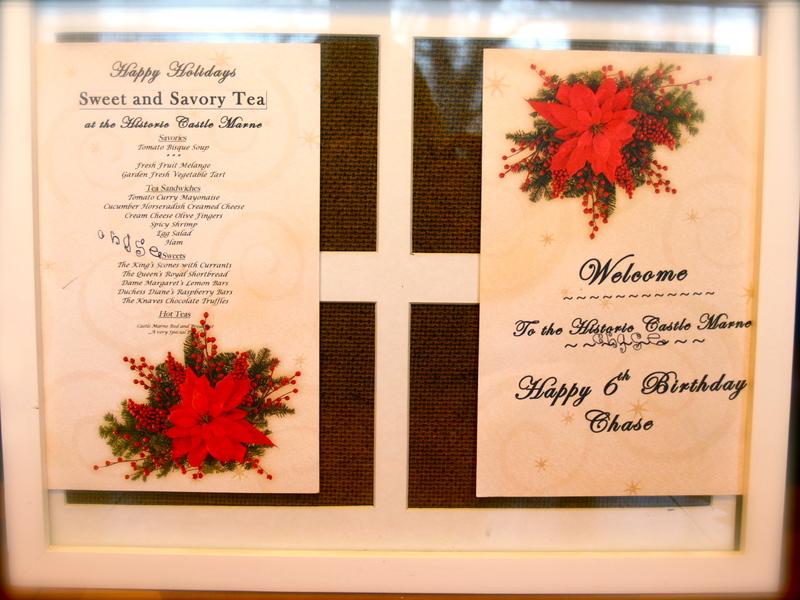 I cut them out and used some scrap booking things I had laying around the house to finish them up. Here is the inside and what it said as well. 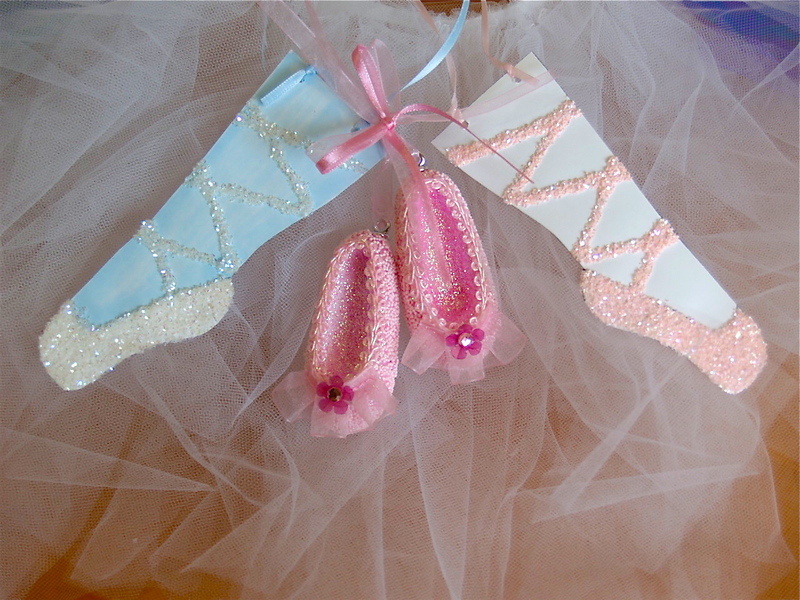 I then found a link from Martha Stewart that had a really cute idea on making a ballet shoe ornament I thought would be a great activity for the girls to do after their tea. I printed them out and then held up on my window on the opposite side to trace the lines so that we could glitter both sides of the ornament. Here’s the link. I gave you the front page so you could see how it was done and some other ideas. Just click on the ballet shoe link. Obviously, I just used elmer’s glue and glitter. The little pink shoes in the middle I got at Target and used as the cake topper. 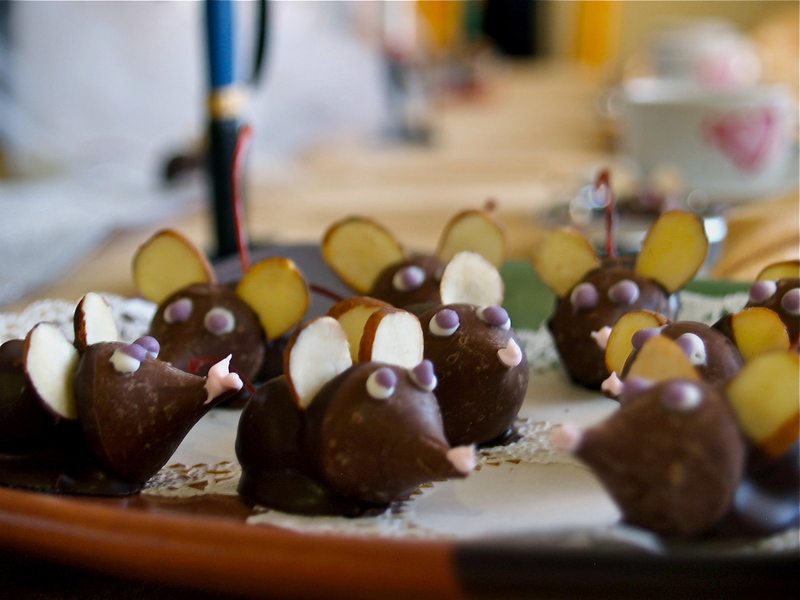 At Family Fun, they have these really cute Hershey Kisses and maraschino cherry mice to make, of course to represent the Mouse King and his little mice minions! 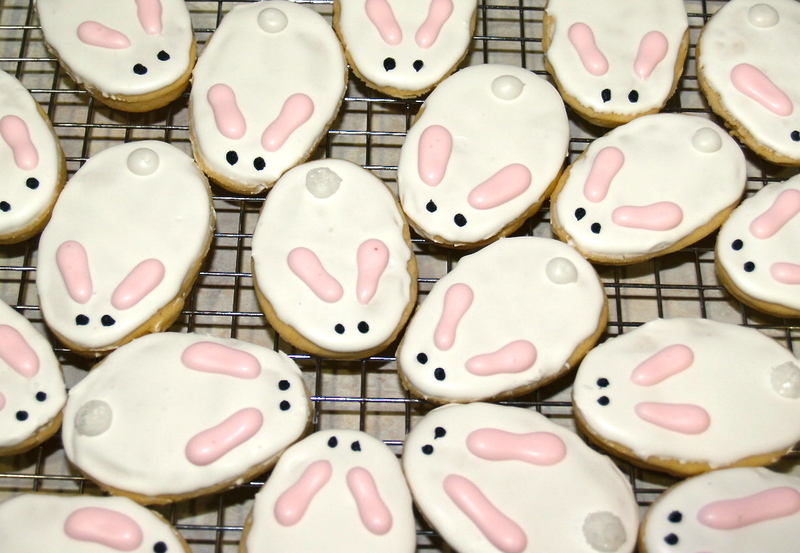 They were quick and easy, and extremely cute. Chase and her brother helped me make them and had a great time. 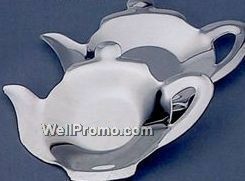 I found some really nice silver tea bag holders and a heart shaped tea fuser in a kitchen store at our local mall, much like these below. 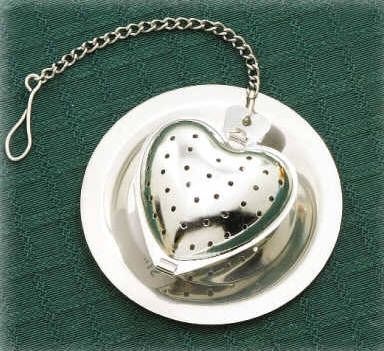 I bought little doilies (Hobby Lobby) and put them on the silver teapot and then placed a chocolate kiss mouse on it for each place setting: The heart shaped infuser I’ll come back to later. 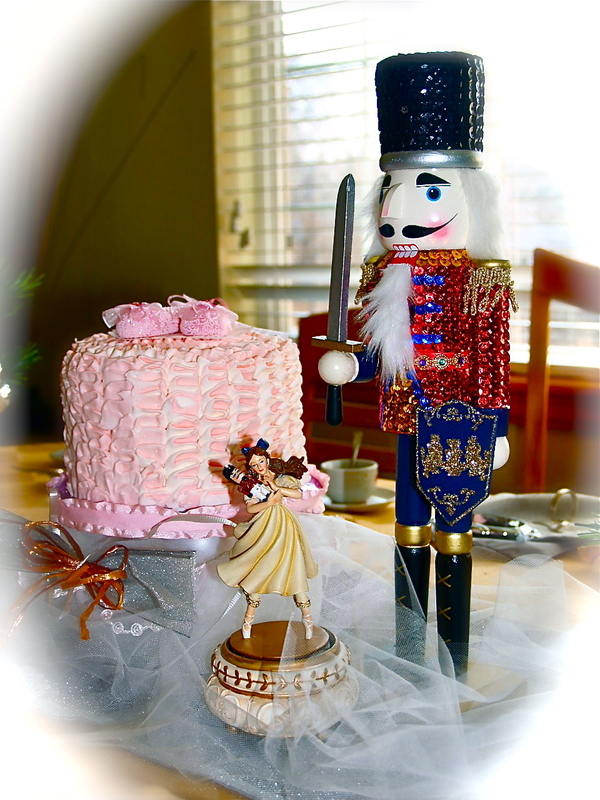 I found a really nice sequined tall nutcracker at JoAnn’s, to represent the nutcracker of course, and to be part of the centerpiece for the table with the cake and a music box Clara. 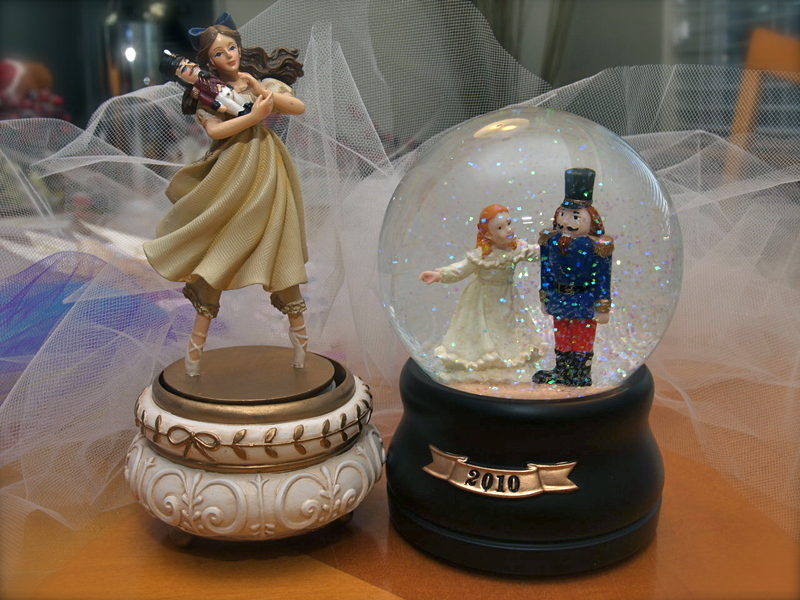 I also found a nice Clara and Nutcracker snow globe at Target, and some nice nutcrackers at the Dollar Tree I bought one for each girl to use on the table as part of the table decorations, which they got to take home afterward as well. All these were found last year (2010) so who knows what you’ll find now. 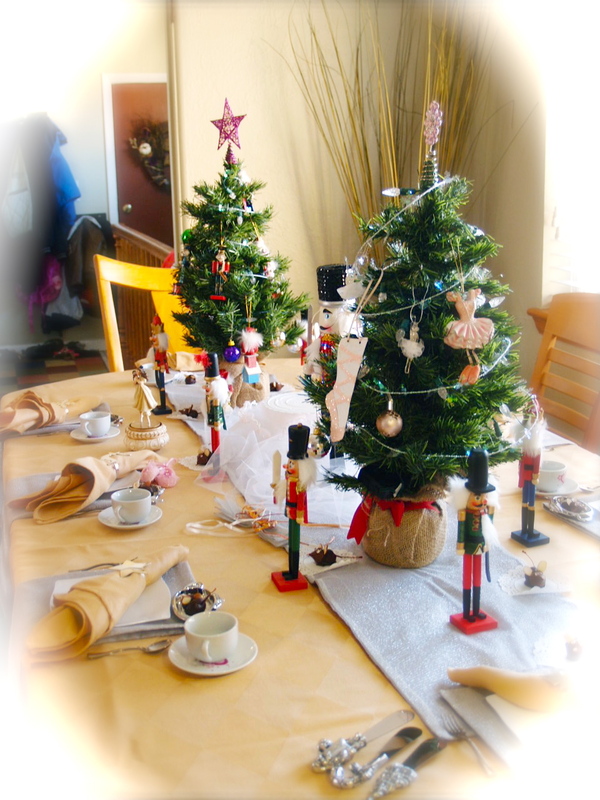 My kids each have a small Christmas tree in their rooms, so I hijacked 2 of them to use on the tables as well, decorating one with nutcracker ornaments (which we have collected over the years) and the other with ballet ornaments. 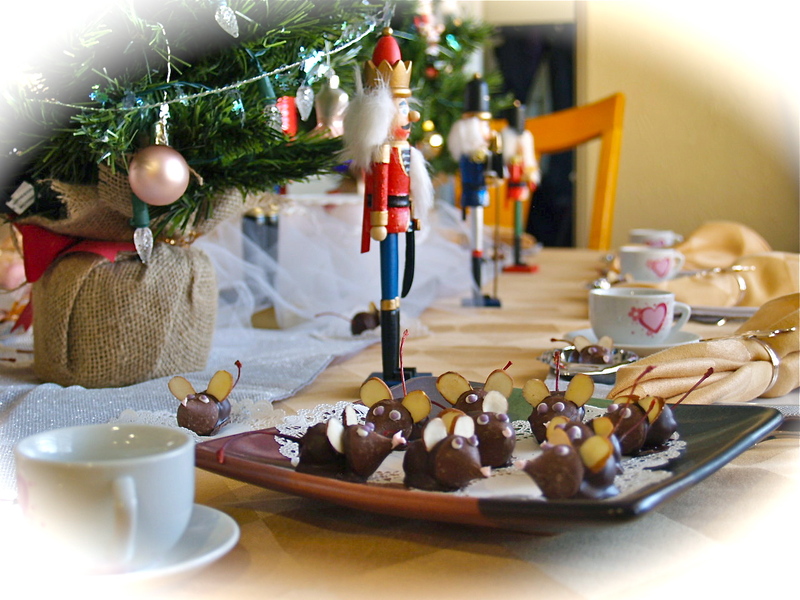 In the picture below you can also see the little mice on their silver teapots, and a few extra mice place along the table. 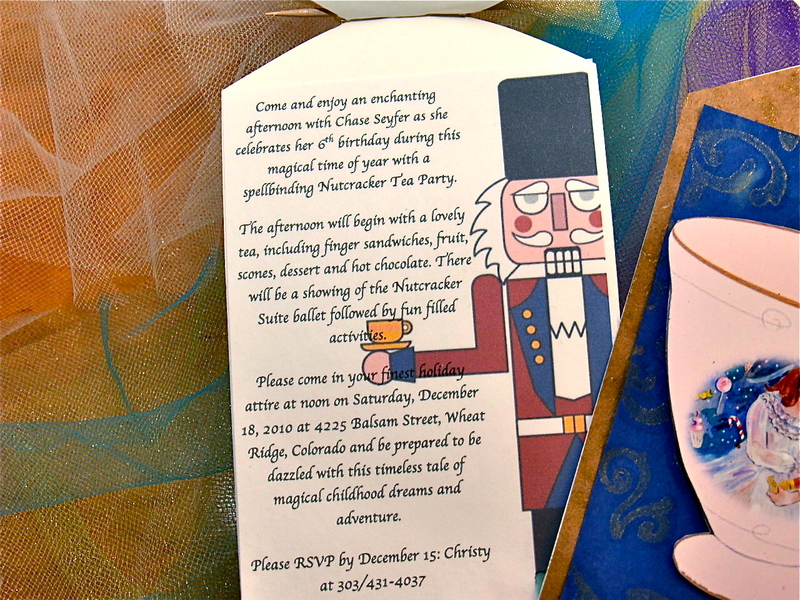 Also for each place setting a nutcracker. 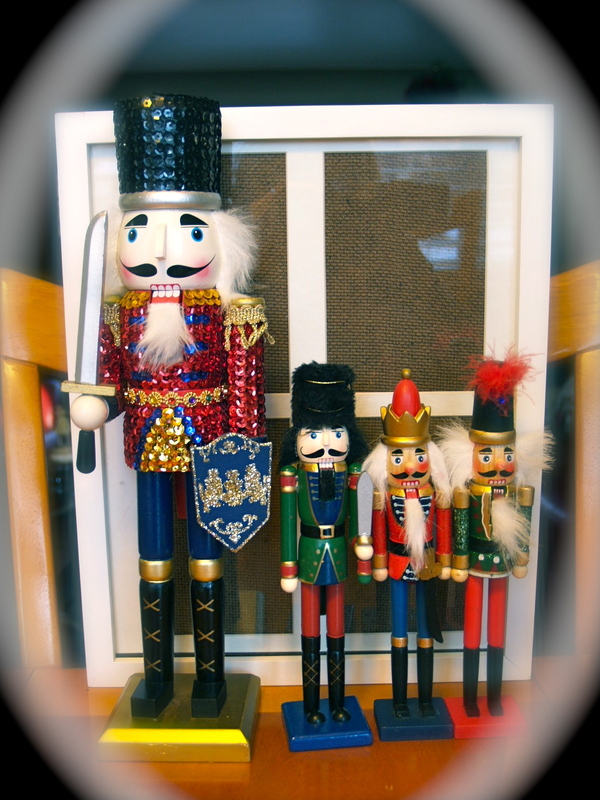 I was very fortunate that the Dollar Tree had so many things nutcracker! 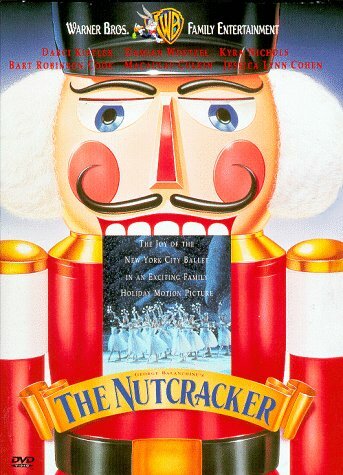 I found a hardbound Nutcracker Suite story book, the nutcrackers, and a chocolate ballerina girl. The sweet part was I found enough for all attendees in the same store!! Back to the heart shaped infuser, I took the little chain off and bought some pink ribbon (about 1/4″) and thread it through the ring and made them like a locket necklace (unfortunately I didn’t get pictures of those when I was done.) I found some silly bands that were princess themed and fill the insides with a few. (I had forgotten to mention to the girls that there were bands inside, and as I made a few calls later on that afternoon, I found that they girls had figured that out quickly on their own!) I think there were more things but I can’t recall what they were. Those bags were stuffed! 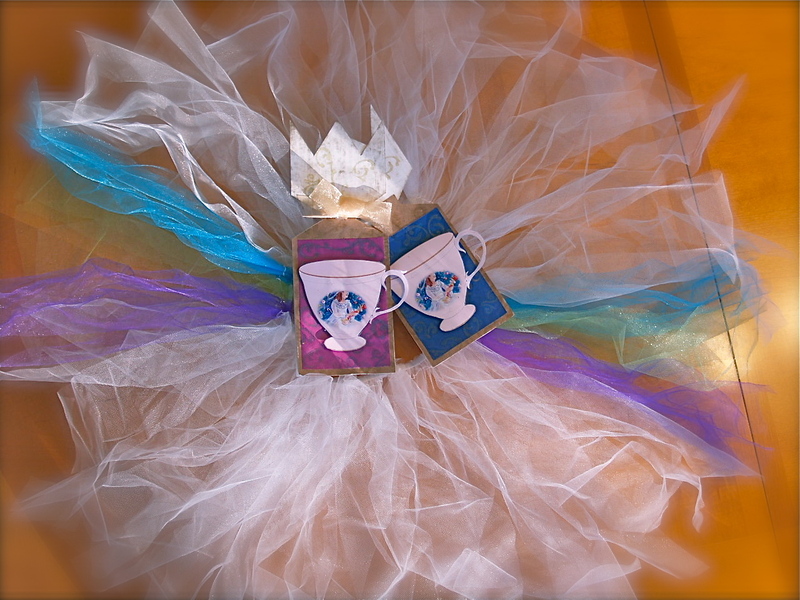 Not part of the goodie bags, but something they got to use and take home were the nutcrackers, the silver tea bag holder from the table and a tutu I had made for each girl. Again Martha Stewart made her way into my party plans with a picture of a ruffle cake I fell in love with. I found the link to how to do it, here. 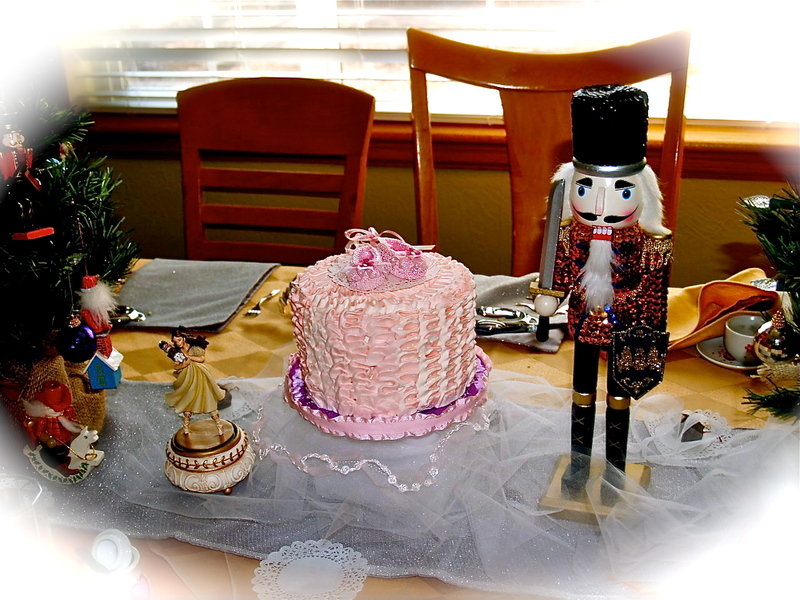 My plan was to use the Clara music box as the cake topper, but for various reasons, I decided against it and used the little pink ballet slippers pictured with the glittery craft ornaments above. 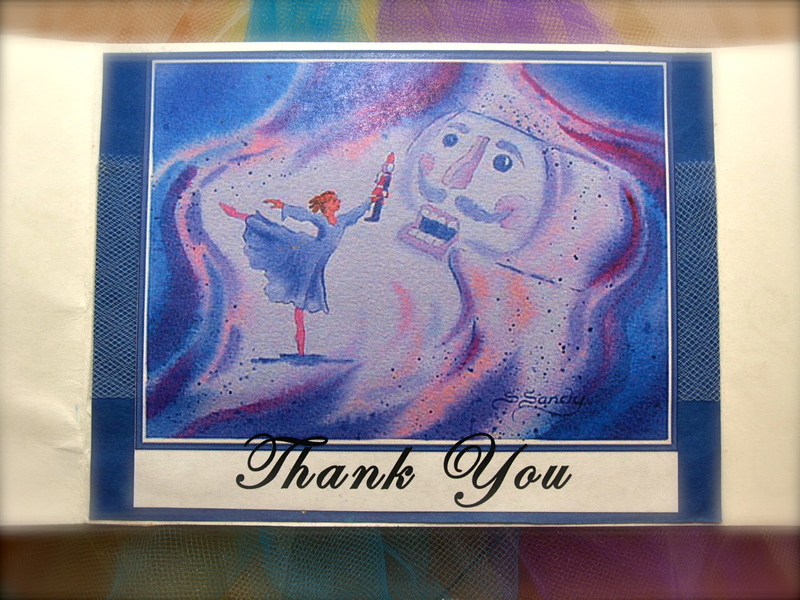 Here’s a link to the music box, I don’t remember if this is where I ordered it from though. 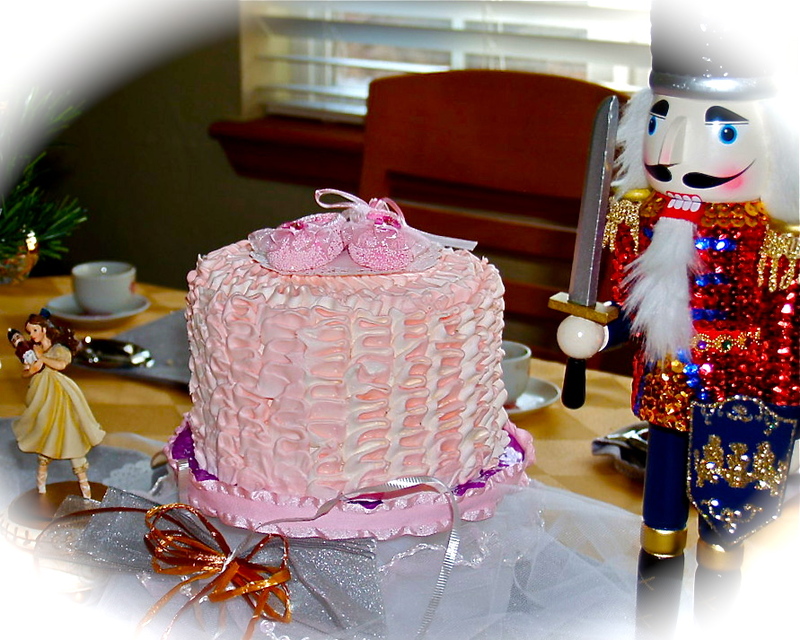 So I decided to use the cake (I also made cupcakes and did the same ruffle effect on them to give the girls), Clara and the nutcracker as the centerpieces. 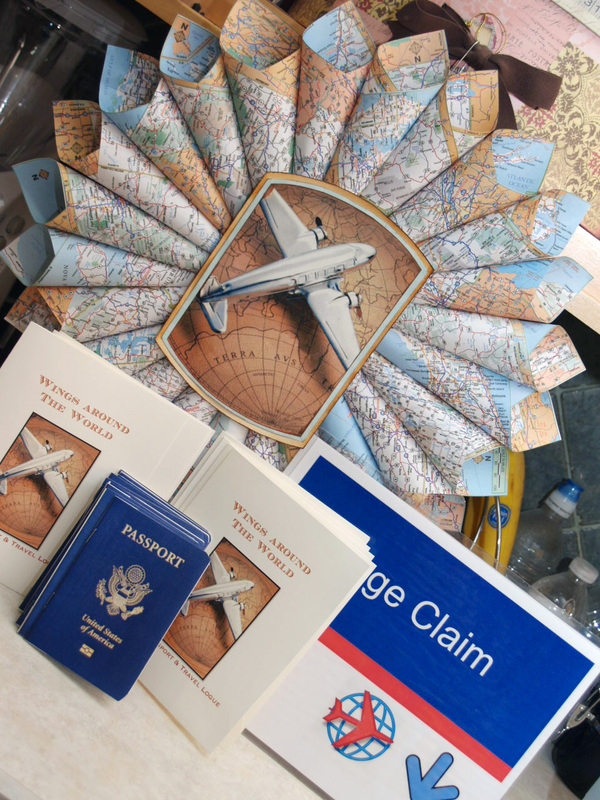 Unfortunately I needed a little help from my flash and so some of the details got washed out. 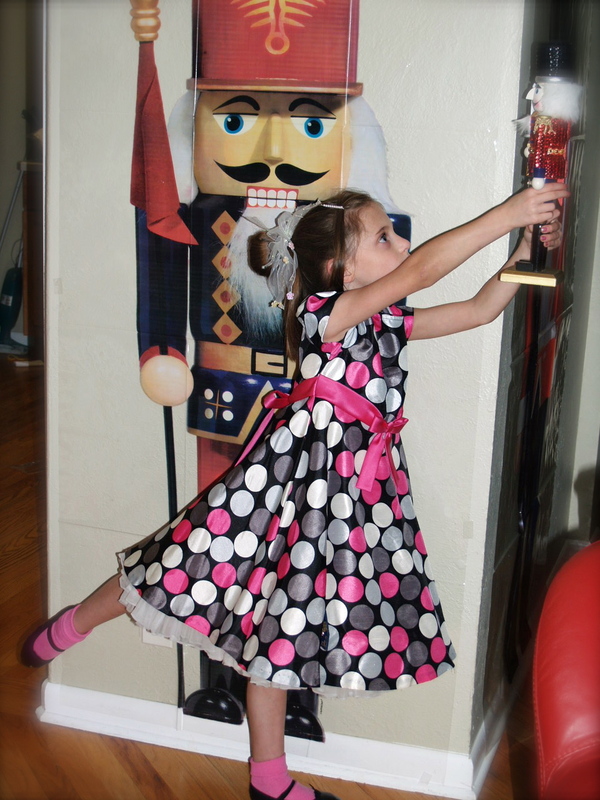 I also bought some nutcracker wall decals from Party City or Party America, and taped it to the wall to take pictures of the girls holding their own little nutcrackers. I originally wanted to put them outside on either side of our front door to greet or girls as they came in, but didn’t really have anything flat to taped them to. The girls got to dress in their fancy dresses, but bring their dance tights and ballet slippers (if they had some). 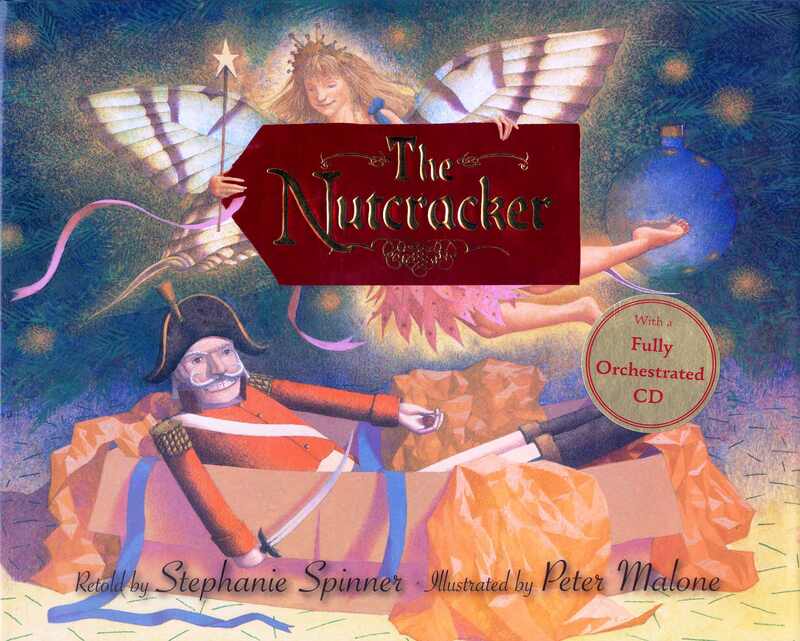 We read a nutcracker story to them. 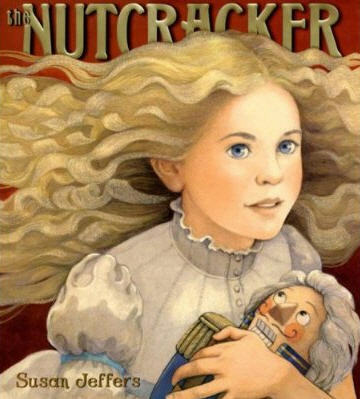 There are tons and I checked them all out and read to Chase to find which story we like best; we like “The Nutcracker” by Susan Jeffers because of the illustrations best, and I think the book we liked best for the story line was “the Nutcracker” by Stephanie Spinner. 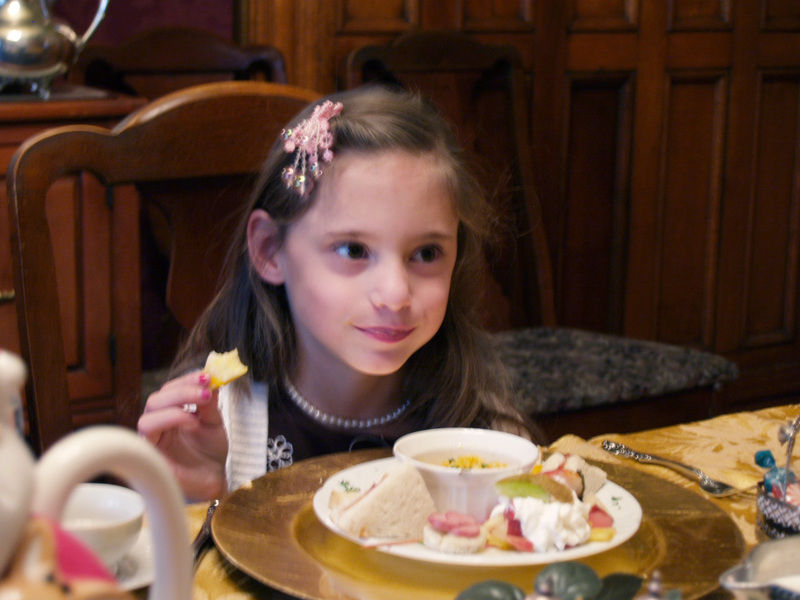 After the story introduce the idea of the tea party and proper etiquette. Fancy Nancy has a Tea Party book (which we read to our girls later on in the party but should have read it before the tea!) This is where things went south for me, I totally forgot to do this and wished I had done so before the girls sat at the table, because my cute little mice were dismantled and/or eaten at once. With little voices saying that they didn’t like this or they didn’t like that, which caused some distress on my part. DO NOT FORGET TO GO OVER PROPER ETIQUETTE!!!! 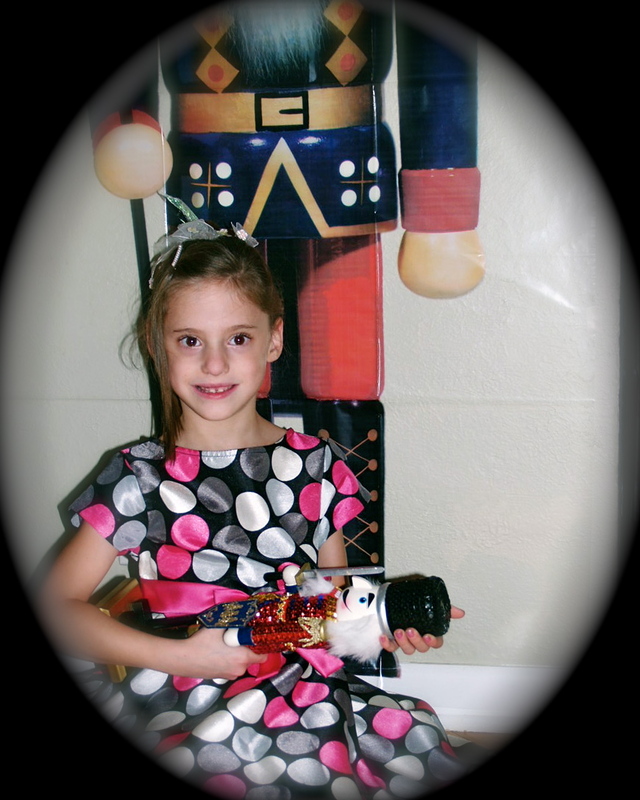 After eating, the girls got to change into their tutu’s, make the ballet shoe ornament, got their picture taken with their own little nutcrackers, open presents, and then finally end with the Nutcracker movie. I chose the one with McCauley Culkin (the Balanchine version) because I felt it was more of a story book production and felt the girls would connect more with it and not get restless toward the end. 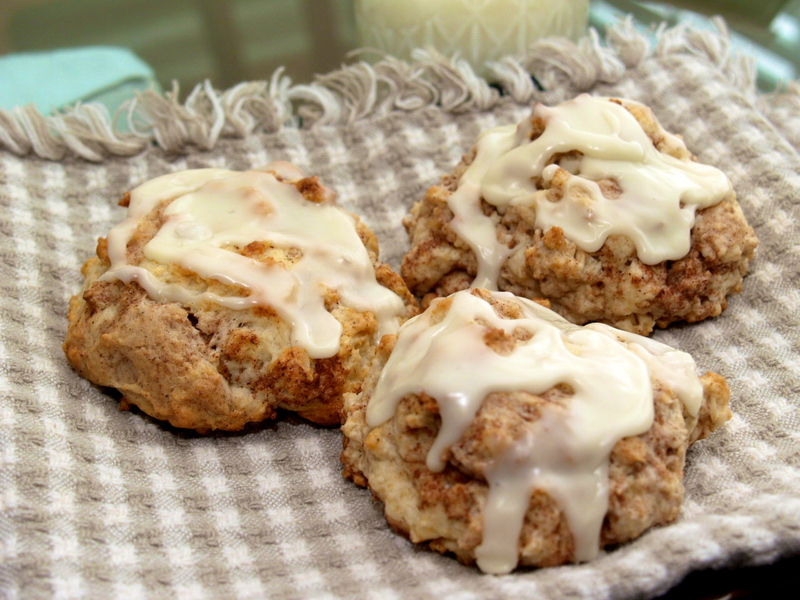 As for the food I purchased a lot of finger foods, shortbread cookies, lemon squares, chocolate candies,etc., and those little bite sized cranberry and orange scones. I made some sandwiches with cream cheese, ham and cheese and some with peanut butter and strawberry jam and cut them into triangles (cutting the crust off first.) I made some tea, Celestial Seasonings makes a real nice Sugar Plum Spice tea, and I also made hot chocolate. 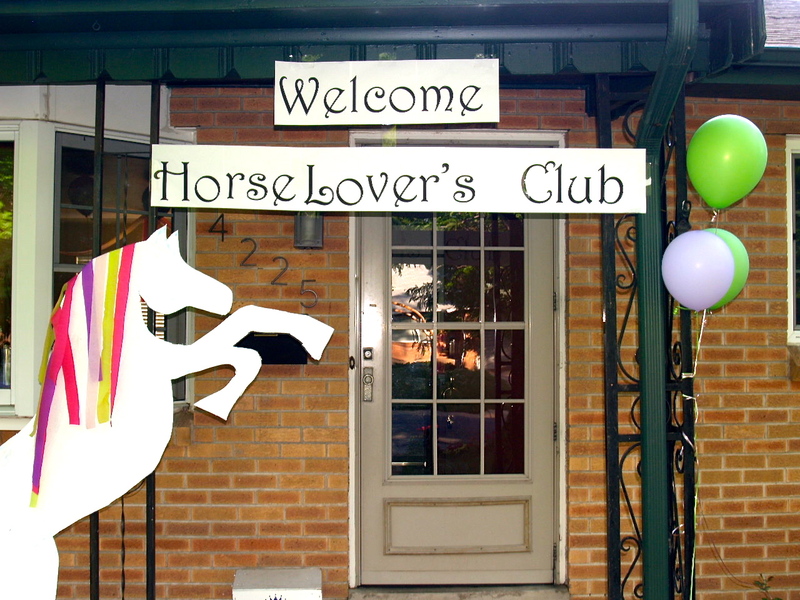 This was a fun party and you can do so many things with the theme! (I hope I’ve given some ideas along the way, obviously for next year seeing how this Christmas is almost upon us!) Chase really loved it and had a great time, as did the other girls. 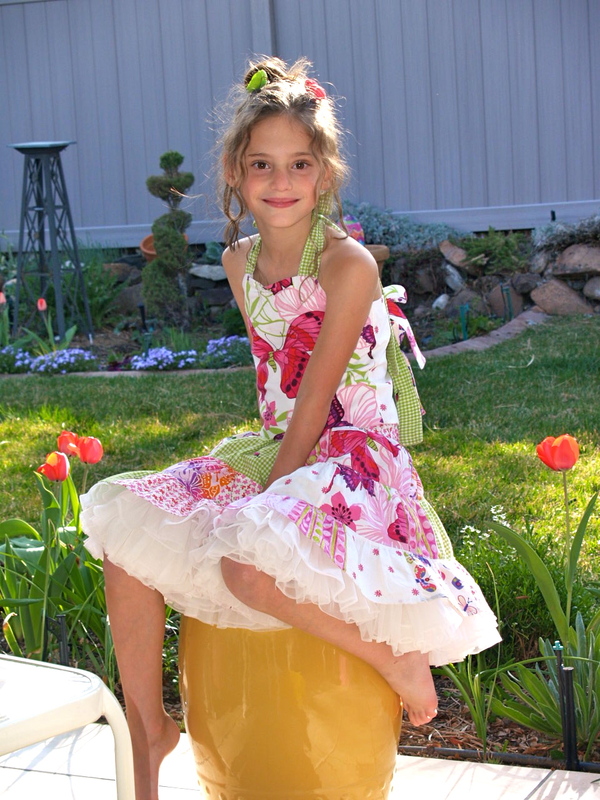 They liked dressing up in their fine dresses, and then dancing around to the movie in their tutu’s. 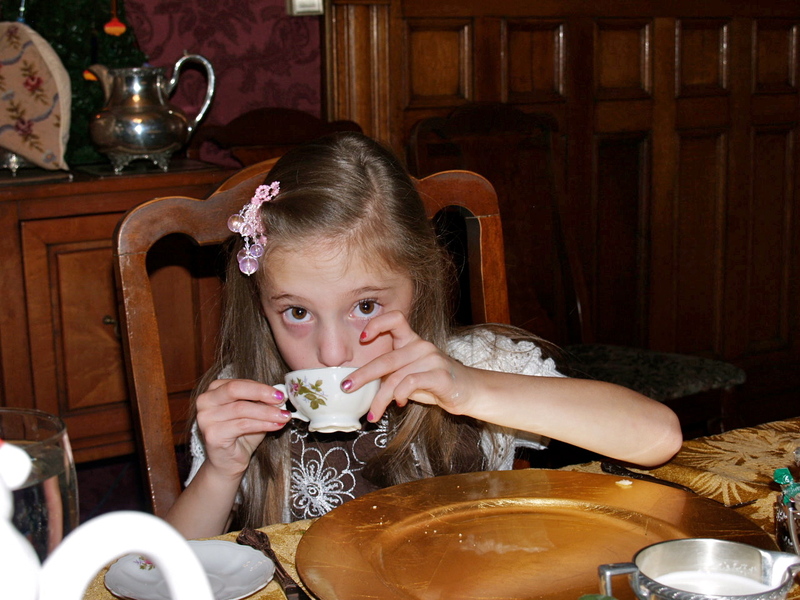 And of course, getting to eat and drink from their little tea settings. 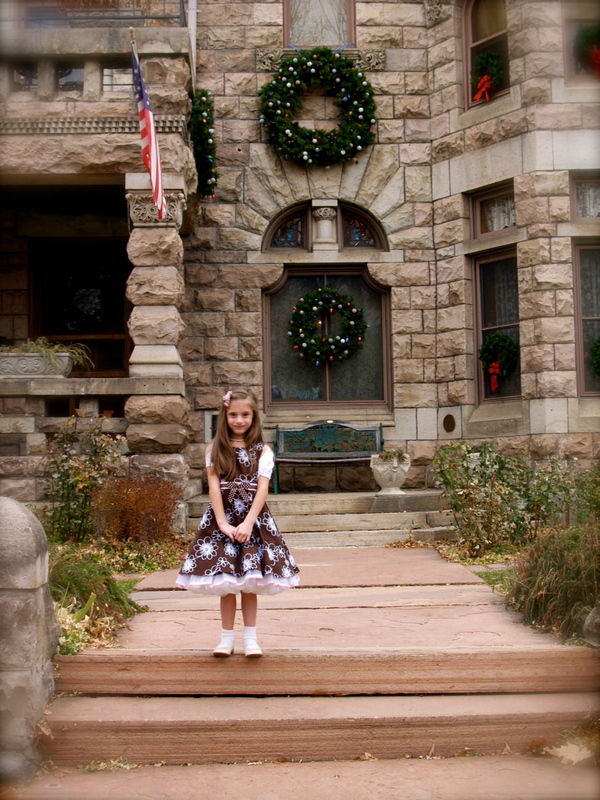 Thanks for letting me relive this wonderful old home and the birthday tea party.